Building a powerful political brand is a necessity in this day and age if you’d like to see any electoral success. Without an online presence, you might as well not even be running. You don’t want just any online brand though, you want a great political brand, and these steps can help you get organized and find clarity in your political statements. 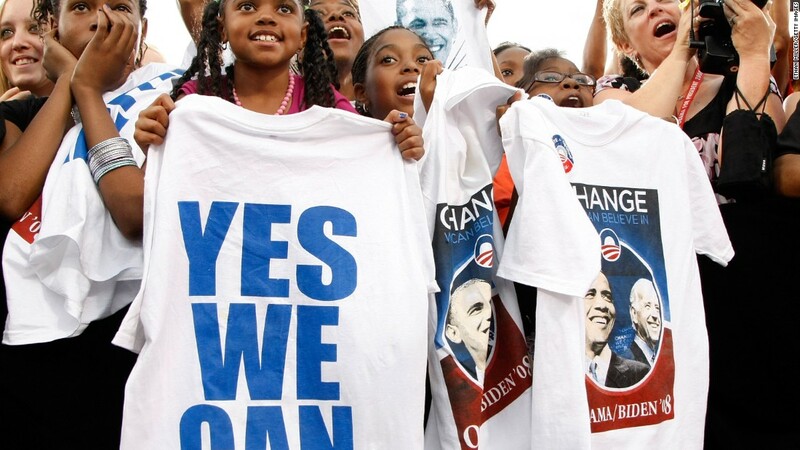 Here is how you can build a great political brand. In three easy steps, you can take your name out of obscurity and place it into the public eye. Defining your political brand is about getting clear in your message. You need to express how you’re uniquely positioned to serve your audience. Remember, if you’re speaking to everyone, you’re speaking to no one. Authenticity is key when it comes to building a strong political brand. People will not vote for you if they feel like they cannot relate to you. When creating a digital brand for your political campaign, you need to remember that it has to tell a story. Your story should sell your voters on your principals. While there are many great ways to tell a story, you should tell your story in a way that makes voters believe that you understand their concerns and can solve their problems. A great way to do this is by tieing your personal experiences in with your solutions. Creating an elevator pitch will help you define your political brand. This allows your target audience to understand exactly who you are and what you offer in a flash. Your elevator pitch will be referenced everywhere online: social media, your website, articles, and more. Understanding what you want from your political brand will make the process of digital branding so much simpler. When creating your political brand elevator pitch, keep these important tips in mind. It can’t sound too scripted. Rather than creating a strict script, remember a few key points and tailor them to suit different situations. If you want your elevator pitch to be effective, it can’t sound like a pitch at all. Just quickly and honestly describe what you do. Your pitch should be tailored to your audience. This means that your political pitch should be flexible. You will address fellow candidates, your local association, the press, or the public differently. Keep it short and simple. Your pitch should not be longer than 30 seconds. Your slogan needs to do more than just say that you’re running for office. You will need to consider the motivational traits of your leadership. Also, factor in the opportunities your administration will provide voters. When you create your political slogan, you want to be unique. This is just a few words that people will associate with you that will define your political brand. There are a few slogans that come to mind immediately when you think of political candidates. Slogans like ‘Yes we can,’ ‘Patriotism, protection, and prosperity,’ ‘Peace and prosperity,’ and ‘Putting people first’ are clear descriptions of what these political candidates were hoping to accomplish while in office. Before getting involved with a politician’s campaign in real life, people almost always look them up online. This means that in most cases, your target audience will interact with your digital brand first, and based on that decide if they want to support you or not. As a result, your digital brand is key when spreading the word about your entire political campaign. Without a strong online political brand, it won’t matter how many town hall meetings you go to, how many hands you shake, or whether or not you kiss babies. If you ignore the digital arena, people will be able to talk about you however they like online. As a result of your absence, you will be powerless to protect your reputation and brand online. To ensure that your audience gets the right information the first time, you must focus on building your home base. For most of us, our home base is our website or blog. Your home base is a critical component of your digital brand. It is the first place many people will go to learn more about you, and it can either make or break their first impression of you as a politician. Your home base must not only be factual, but it must be engaging, user-friendly, and look professional. When creating your home base, keep these four things in mind. This is your digital address. People will use it to find your website. Some popular domain name providers are GoDaddy and NameCheap. This is software you can use to build your site. Some of the more popular web builders that you might have heard of are WordPress, Wix, Squarespace, and Weebly. This is the storage unit where your website content lives online. A website template is a pre-made website design. It allows you to have a professional-looking website without hiring a website designer. If you are using a self-hosted website builder, like WordPress, you can find great WordPress templates at WooThemes and Mojo Marketplace. If you want to succeed in political branding, get serious about building your email list. Your email list is one of the most valuable assets for your brand because it allows you to initiate contact with your audience. Instead of waiting at your home base, hoping they’ll drop by the party, you’re virtually knocking on their door with a personal invitation. Adding an opt-in form on your website is also a great way to get your target audience’s attention and encourage them to sign up for your email list. You can include these on the side of your website, the bottom, or as a scrolling pop up. It all depends on your target audience. Your primary objective for building your social media accounts is to focus on how to be social, not on how to do social. Being relatable to your target audience will separate you from the competition. Talk to people on social media the same way you would engage in the real world. After all, just because you are communicating with people online, doesn’t mean that you aren’t communicating with people. When first starting out on social media, it is important to remember to only focus on one site. Having too many accounts can be overwhelming. Also, if you are spread too thin, it will be difficult to build a truly authentic and effective presence. Placing yourself in the conversations of constituents is one way to increase your visibility. This means you should look for opportunities to engage with the community. Reaching out to the people you represent makes them feel seen and heard by you. This can be the difference between getting or losing someone’s vote. This is a part of your political brand that will remain a part of your day to day work. Sometimes it can be in your best interest to find digital branding services to manage and expand on this work for you. One great way to increase your online visibility is through guest blogging. If your content is posted on a site with a larger or different audience from your own it will allow you to expand your digital presence. When picking a place to guest blog, it is important to remember your values and choose a site that has similar values. You’ll also want to check the guidelines of the blogger to see if they accept guest posts. If everything lines up then you can contact them and share why you’d be an excellent fit for their blog. When going through the process of finding the right blog to guest post on, make a list of five blogs that you’d be willing to work with and reach out to them. The odds are pretty good that one will be interested in your contributions. Also, if your pitch is well thought out, you might just get a chance to write for all of them. When trying to create an effective digital brand, it can feel like the key to success is endlessly pumping out content. However, few people have the time to create new content all day every day. Fortunately, there is an easier way. Trying to create an eBook every month or coming up with new topics for blog posts is simpler when you re-use pre-existing content. You can take your most popular blog post about a particular topic and turn it into an eBook. Then you can repurpose the eBook as a SlideShare presentation. Or you can take that same eBook and turn it into a month’s worth of blog posts. Or you can turn that blog post into an infographic or video. Plus, everyone likes to consume content in different ways. Some may want to read an ebook or whitepaper, while another is more fond of video or audio content. Repurposing your content will allow users to consume content in the ways that they like best. Batching is doing a lot of similar things at the same time. For instance, you wouldn’t make a single cookie at a time. You’d make a whole batch of them. Right? Well, the same is true for writing. Half the challenge is just getting into that creative writing space where we can produce. You’re going to save a lot of time by knocking out multiple posts at once. Your political brand is who you are to most people. Remember that most people will never see you in person. This means that they will only have your brand to guide them in their decision-making process. This is why following these three steps will be so crucial for your political campaign. You need to define your brand, build your brand, and monitor your brand for maximum success in the digital world. This will give you the political boost you need and make you a household name. Do you look up politicians online before voting for them?